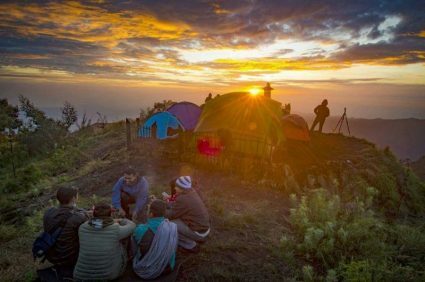 Package Mount Bromo Camping During Milky Way Season is a package combination to enjoy the scenery of stargazing and sunrise on mount bromo. In general, the tourists visiting mount bromo to see the beauty of sunrise and phenomenon of active volcanoes directly. Not many people to know about the beauty of milky way on mount bromo because the tour takes at night and use a good camera like DSLR, Mirrorless ( not perfect if use smartphone ). The best scenery of milky way it’s on April until September because on the month, can see the milky way more than 4 hours and not worried to rain. Normally of rainy season end on march and april until October including dry season. So the best time to do camping in mount bromo to see the milky way and sunrise. The tour starting from pick up you in Surabaya or Malang by our tourist guide and driver, than directly to go to Cemoro lawang village ( last village in bromo area ). you can stop where ever to find out local restaurant and toilet during trip, please ask to our guide. Arriving in Cemoro Lawang village, check in to the homestay first to prepare some items for camping and leave the luggage that are not needed when camping in the homestay. After preparing the items to bring, it’s time to leave the homestay to go to the camping area to live in the tent overnight that we have prepared beforehand. Enjoy the view at night in the Mount Bromo area, watch the little stars from the front of tent while drinking hot coffee or tea. 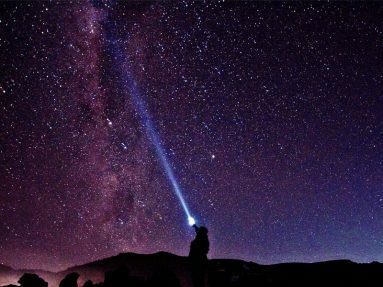 It’s time to see the beauty of milky way from the front of tent and take picture of milky way with background mount bromo and Batok mountain until finish and rest. Wake up early to see the sunrise from camping area until finish, leave the tent to go to bromo crater, savanah or teletubbies hill and whisparing sand by using 4WD jeep. Jeep will take you back to cemoro lawang village and stop in restaurant to have breakfast. After breakfast the jeep will take you to homestay, take shower and packing. Meet with our driver there and transfer you to Surabaya, Malang or go to hotel for Ijen if you choose combination the tour package mount bromo ijen crater.